Finally had the time to update this. 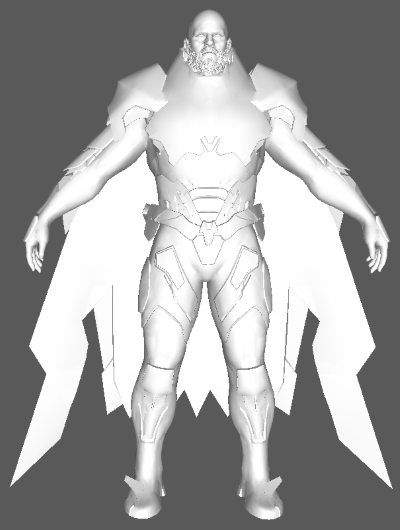 It should now load Zeus and also loads some other missing meshes. There seems to be still a problem with Zeus hair, but I will get to that later. Download from the updated link in the first post. Another user also reported this problem. It probably just needs a quick fix. I will update the viewer, when I have the time. Not sure if my files are bad or Zues file are just different from the others. There is a slight bug with Zeus. I will fix it, but probably in couple of days. I am a bit busy atm. hoe to extract file .pak ? I tried to export "cp0202_b06a.asf", but the models have UV damage. PM me the file. I will take a look when I have the time. Edit : Checked the model and everything is fine. You have to use the secondary uv sets for some meshes. The only problem was the viewer, for constantly reset the view every time after open a new model. It is the same camera script that I use for all of my tools. So I had to make something that auto adjusts based on mesh bounds, to make it work with everything. Run triAce-PS2.exe with pk1 Nothing happens no error message nothing. "triAce-PS2.exe" is for the iso file only. 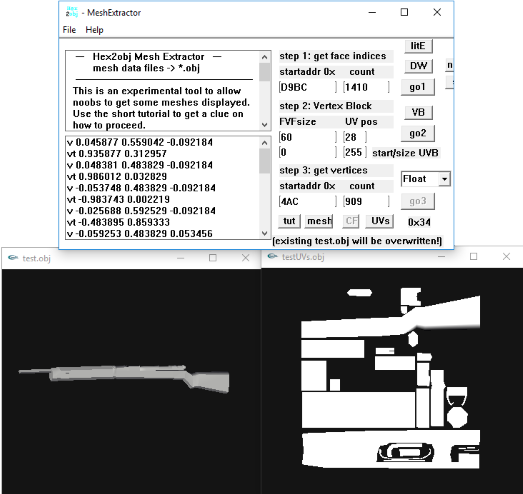 Once you have the pk1 files, either use "VP2ModelSearch.exe", or load them directly with the model viewer. Read the first post carefully, I have explained everything there. Looks like an easy format. Here is an example using hex2obj.